Metric Tonnes of Diesel which were brought down to the island by the Lanka Indian Oil Company since the stock of fuel had failed to meet the required quality standards. According to the Media Spokesperson of the Kolonnawa Oil Storage Terminal Nishshanka Jayawardahana this stock of diesel would be proscribed from distribution followed by last evening's analysis. However Chairman of the Ceylon Petroleum Cooperation's Jathika Sewaka Sangamaya Ananda Palitha adds that there is a risk of the stock of diesel being transferred to the port of Trincomalee. 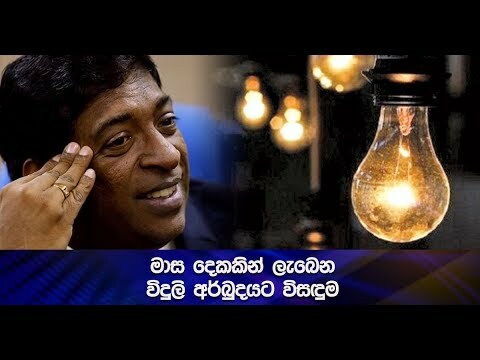 Meanwhile our news team obtained the views of the Media Spokesperson of the Kolonnawa Oil Storage Terminal Nishshanka Jayawardhana in this regard. However Minister of Petroleum & Petroleum Resources Anura Priyadharshna Yapa states that steps would be taken to ensure consumer confidence with regards to fuel supplies. our news team obtained the views of subject minister Anura Priyadharshana Yapa in this regard.